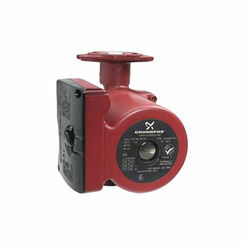 If you are looking for savings on your utilities, then recirculation pumps are a good option. 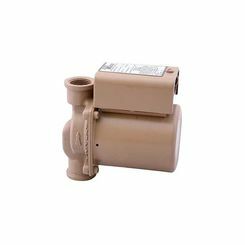 Also known as circulation or recirculation pumps, PlumbersStock has a wide variety to choose from, and that's the case for all types of pumps. 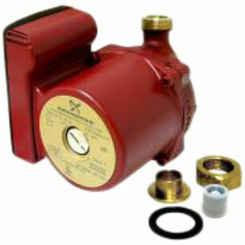 We even have pump parts! 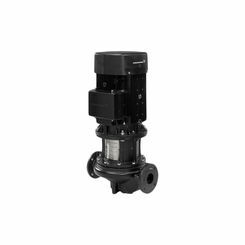 What Is a Recirculating Pump? 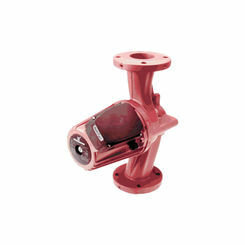 Recirculation pumps are commonly-used centrifugal pumps. 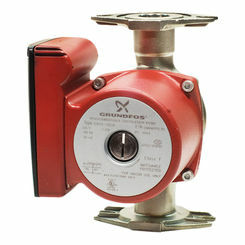 The main function of this pump is to always ensure that hot water is available as close to the consumption point as possible in plumbing applications. 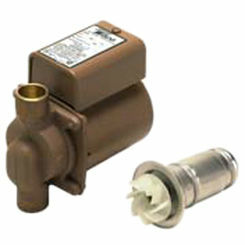 This helps considerably to reduce water waste. 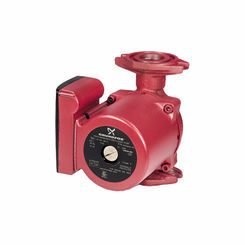 The circulation pump is a class of pump used to move gases, liquids, or semi-liquid material in a closed circuit. 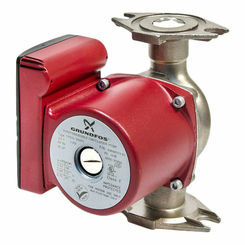 Since this pump only circulates liquid within the closed circuit the effort required to work this machine is significantly less than other pumps. A little history on these pumps - when they were first installed in homes they would run 24 hours a day or would have a timer to operate at times that you could anticipate the hot water. Between jobs, families, athletics or school there is really no routine time that you can be sure you will be there when the hot water is. 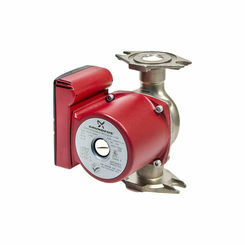 Eventually the technology in hot water circulation pumps improved to offer several different options such as a push button on-demand or there is also an occupancy sensor that triggers the pump. 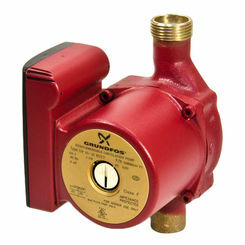 Limiting the amount of time the pump operates will save you money. 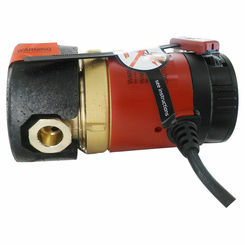 These recirculating pumps are usually used in hydronic systems and are typically powered by an electric motor. As many other pumps the size changes based on where it is going to be installed. For homes it will be relatively small but for industrial and commercial buildings the size and horsepower has a much greater range. The sealed units of the home application usually have the motor rotor, pump impeller, and support bearings combined and sealed within the water circuit. 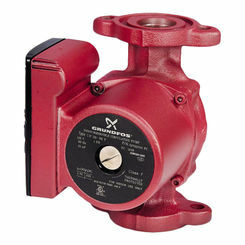 How Do Circulation Pumps Work? 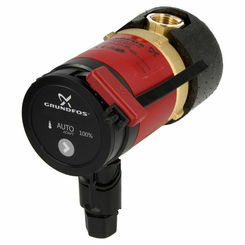 The great thing about hot water recirculating pumps is that they allow you to enjoy comfortable water temperatures instantly from your faucet. 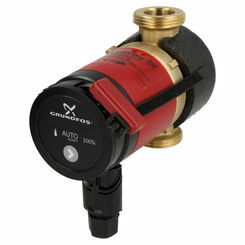 It’s there when you need and it is also a more efficient way of conserving water. Normally water runs from the water heater through the pipes and out the tap, once the tap is turned off the water sits in the pipes and cools which results in the sit and wait for hot water. 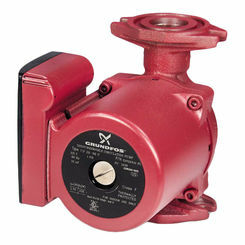 What the circulation pump does is forces a small amount of hot water to continually flow through the pipes starting at the water heater traveling to the farthest fixture and then traveling back. Therefore hot water is always in the pipes and water does not get wasted. 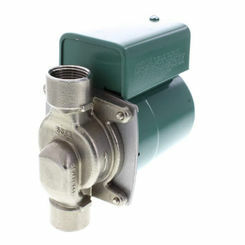 Keeping increase heat in the piping system also increases the pressure within the system.